What is a Mobile marketing? Mobile marketing can be described in two different fashions as it exists and delivers its results. The first contemporary definition of the mobile can be interpreted from the marketing on a mobile device whereas the another bit conventional definition of the mobile marketing can be understood from the means of marketing in a moving fashion as is done with technology road shows or moving billboards. A very broad definition of the mobile marketing terms it to be as “the use of the mobile medium as a means of marketing communication. The restrictive definition of the mobile marketing tells it to be something like, “using interactive wireless media to provide customers with time and location sensitive, personalized information that promotes goods, services and ideas, thereby generating value for all stakeholders". 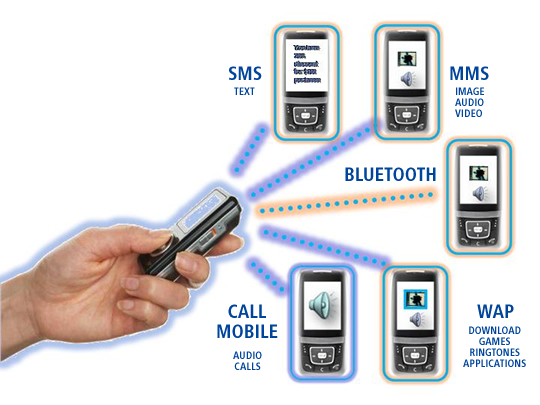 Another popular interpretation of Mobile marketing is wireless marketing. Here wireless, necessarily does not means with mobile as well. For example, a consumer’s interaction with Web site from a desktop computer at home with the help of Web site from a desktop computer at home, by carrying signals away over a wireless local area network ( WLAN) or over a satellite network, thus comes into the category of mobile communications altogether. On the type of medium, mobile marketing is thus is famous in following popular forms. • Mobile marketing through SMS: Marketing on a mobile phone is the popular form of mobile marketing and therefore is being known as the SMS (Short Message Service) as in the early 2000s in Europe and some parts of Asia. The IAB (Interactive Advertising Bureau) and the Mobile Marketing Association, as well, have certain set guidelines under which mobile marketing is done and is being carried out. • Mobile marketing through MMS: MMS mobile marketing is method of timed slideshow of images, text, audio and video. This mobile content is provided to recipients through MMS (Multimedia Message Service). Presently all new phones come with a color screen that is capable of sending and receiving better quality MMS message. • In-game mobile marketing: This sort of marketing is being carried out through mobile gaming as using the technologies like interactive real-time 3D games, massive multi-player games and social networking games. This leads towards a rather more complex and rather sophisticated, richer game play. Whereas at the other side one gets involved with so called casual games. And most of mobile games to the date are casual games. • Mobile Web Marketing: Advertising on web pages so that mobile device can access them is also coming as an option of mobile web marketing. The Mobile Marketing Association gives a set of guidelines and standards that provides the refereed set of ads, presentation, and metrics used in reporting. Google, Yahoo, and other major mobile content providers have been selling advertising placement on their properties for years on mobile. And lastly some other popular forms of mobile marketing are mobile marketing through Bluetooth and Infrared.